Is the HTC One the best smartphone ever made? | Android Blast! Android Blast! > News > Is the HTC One the best smartphone ever made? Is the HTC One the best smartphone ever made? Apple has always been a cut above others in build quality of their devices. The attention to detail along with unibody design makes everyone else's devices seem to play second fiddle to Apple. Not anymore. The HTC One has taken a page from Apple and is quite impressive. Some of tech's biggest names are praising it for its build quality and features. Peter Rojas of GDGT went so far as to say it could be one of the "best smartphones ever made." That's a tall order, but he might be right. The One isn't just the best smartphone HTC has ever made -- it can legitimately lay claim to being one of the best smartphones ever made. Beyond a certain point, determining what's "best" comes down to matters of personal preference, but there's so much that's superlative about the One that it's hard not to walk away incredibly impressed by it. Unfortunately, HTC maybe too late in releasing this flagship phone. They just reported the worst quarter in the company's history and things look pretty bleak for HTC. 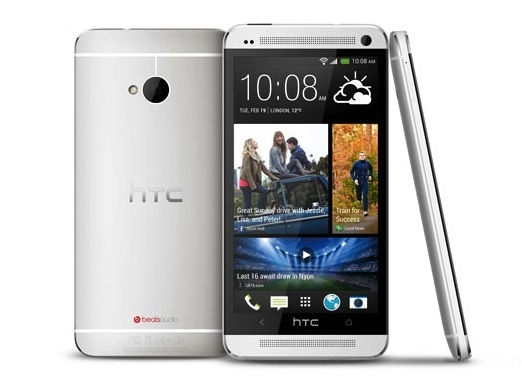 Most analysts aren't sure the HTC One can save the company. I hope they're wrong. Have you seen one? It feels much better than the Samsung Galaxy phones. It's fast, solid, and gorgeous. I can't wait to get one!